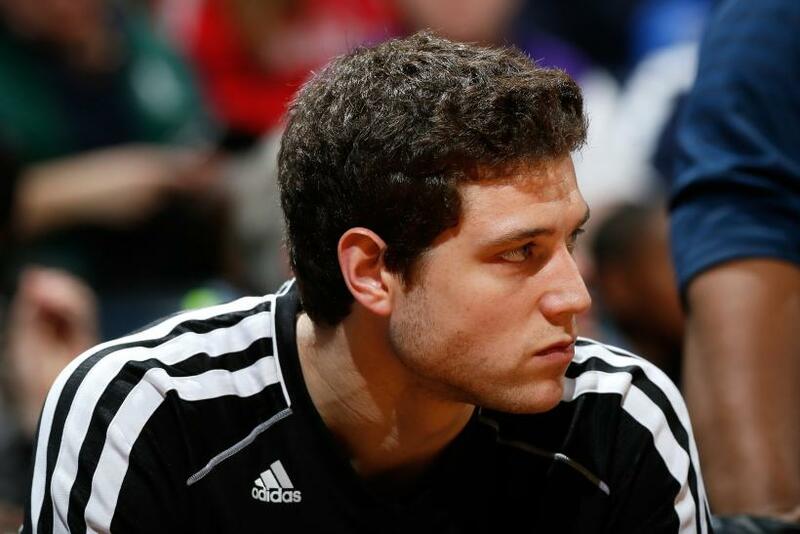 Former BYU star Jimmer Fredette has rejuvenated his professional career with back-to-back spectacular performances with the NBA Development League’s Westchester Knicks. And it appears time is the only thing standing between the 26-year-old sharpshooter and another shot at the NBA. The White Plains-based affiliate of the New York Knicks selected Fredette with the second overall pick in the D-League’s draft on Oct. 31, 10 days after the San Antonio Spurs waived Fredette following their training camp. Over a month later, Fredette showed why he may still have a place in the NBA. Fredette filled up the stat sheet with 37 points, eight assists and four rebounds in the Knicks’ 102-90 victory over the Grand Rapids Drive on Monday, and two days later nearly recorded a triple-double of 22 points, seven rebounds, and nine assists in a loss to the Fort Wayne Mad Ants. Between the two games Fredette’s knocked down 20-of-35 field goal attempts, or 57.1 percent, and he went 3-for-7 from three-point territory, harkening back to the days when he made the Cougars NCAA Tournament threats. However, the most telling stat Fredette accumulated was minutes, or rather game time he wasn’t afforded during his stints with three different NBA teams since he was drafted in 2011. The former lottery pick played 42 and then 41 minutes in his first two games, compared to the 13.5 minutes he played on average between the Sacramento Kings, Chicago Bulls, and New Orleans Pelicans. The fact he didn’t receive enough playing time on NBA courts isn’t lost on Fredette, and the fact that as primarily a shooting specialist he needed more minutes to find his rhythm, which he told The Dan Patrick Show just before the matchup with the Mad Ants. Fredette also went into some of the opportunities he had after San Antonio released him, including ones overseas, but explained it just “didn’t work out” with each NBA team he’s played for, and that staying stateside in the D-League is like taking “a couple steps backwards” in order to move forward. Should he keep up the production that made him a BYU legend and college basketball’s Player of the Year, Fredette could begin a journey to his Glenn Falls, New York, boyhood dream -- a spot on the Knicks. New York presently has one space open on its 15-man roster, but any NBA team can pick him up any time, something Fredette said he understands.